Fillmore Slim performing in 2007. The local blues legend returns to West Oakland this weekend. Friday, February 24, and Saturday, February 25, at Eli's Mile High Club, 3629 Martin Luther King Way, Oakland. $15-25, ElisMileHigh.com. During the blues revival of the late Seventies and early Eighties, Eli's Mile High Club was one of Oakland's liveliest nightspots. It drew a diverse crowd of blues fans, college students, and neighborhood regulars — and it was so busy that people were often turned away. The Rolling Stones even showed up one night, but the doorman, who wasn't familiar with the legends, wouldn't let them in. The story made the Channel 7 TV news. So, when Fillmore Slim and Bobbie Webb bring their Legends of the Blues Review to Eli's Mile High Club this weekend, they'll be shining a light on the history of the venue as a center of the West Coast blues scene, as well as their own distinguished careers. 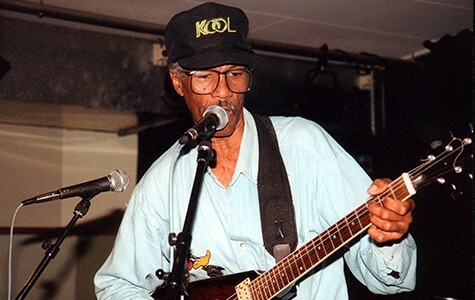 Slim was born in Baton Rouge, Louisiana, and spent time playing the blues and recording in Los Angeles before moving to San Francisco's Fillmore district in 1955. There, he joined San Francisco-born saxophonist Bobbie Webb, and his Rhythm Rockers, as lead singer, and the duo remained stars on Fillmore Street until the live music scene began dying in the Sixties. Webb told the Express that, during this era, venues on Fillmore Street started closing, so he started playing at the infamous Condor Club on Broadway in North Beach. The modern blues scene in Oakland dates back to the Forties, when the building of the Oakland Army Base and Naval Supply Center created an influx of African-American workers, making West Oakland a center for Black music and art. The city hosted numerous jazz and blues clubs. Eli Thornton opened the club that still bears his name, Eli's Mile High, in 1974. By that time, the construction of BART and the Oakland Post Office Distribution Center had decimated Oakland's nightlife, making Eli's one of the last outposts for real blues. Thornton showcased local acts such as J. J. Malone, Troyce Key, Sonny Rhodes, and Mississippi Johnny Waters and the Blues Survivors. The club had a friendly neighborhood ambience. But it became infamous when Thornton was murdered in the club by his girlfriend, blues singer Frankie Williams. After the shooting, Key took over Eli's and dubbed it the "Home of the West Coast Blues." He started booking national acts like Percy Mayfield and Charlie Musselwhite. The club became one of the Bay Area's most racially diverse hot spots and an international blues destination. 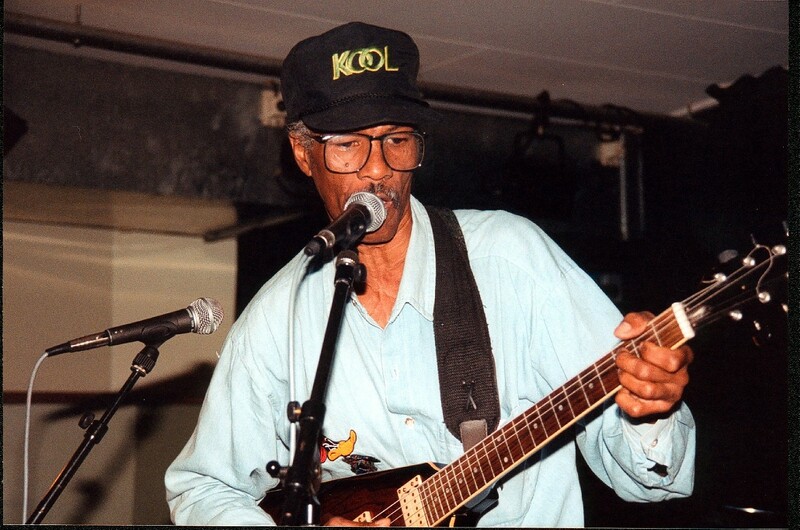 "When I played festivals in Europe, everybody asked me about Eli's in Oakland," Slim said. "It was one of the world's best-known blues clubs." Eli's thrived during the blues revival of the Eighties. That's when Webb joined Key's Big Blues Band, the combo that backed local and visiting stars. Key bought a 24-track mixing board to document the live shows, and also started a record label, which produced Fillmore Slim's debut album, Born to Sing the Blues. "I played sax on that album," Webb remembered, "so this gig is going to be a big reunion." After Key died in 1992, the blues revival faded and Eli's fell on hard times. The club passed through a number of owners, with punk and metal replacing the blues as the main musical attraction. Eli's reopened last June, however, under the ownership of the Oakland Scavengers. Matt Patane, one of the new proprietors, said he and his partners are on a mission of preservation. "The musical and artistic history of Oakland is falling to the wayside, as new homes are built for people working in San Francisco and elsewhere," he said. Patane described the latest incarnation of Eli's as "a rock 'n' roll bar," but they also program blues shows on Monday nights "to pay tribute to the culture of the neighborhood." He also pointed out that Slim got his start at Eli's, and cut his first album here. He's been sitting in as a special guest on Mondays, and was the one who pitched the idea of the weekend's reunion show. The lineup, curated by Bobbie and Slim, will feature people who gigged, or became famous, during Eli's heyday. The lineup includes a broad cross-section of Eli's regulars, including Bobbie Webb and The Smooth Blues Band (which still plays every weekend at Everett & Jones), Ronnie Stewart (founder of the Bay Area Blues Society) and his West Coast Blues Society Caravan of Allstars, Oakland Red (a protégé of Slim's who is flying in from Texas), and more. Fillmore Slim will perform with both Webb and Stewart, and he'll also sign copies of his new memoir, Blues Man Mack, which describes his life as a pimp, federal prisoner, and entertainer. "I've been playing with Slim for 55 years and we're still going strong," Webb said. "A lot of Eli's greats have passed on, but those that are still around will be there this weekend. We're going to light the place up."